Brazilian striker Robinho has failed to live up to his British record price tag since becoming Manchester City's first big signing under their new owners. 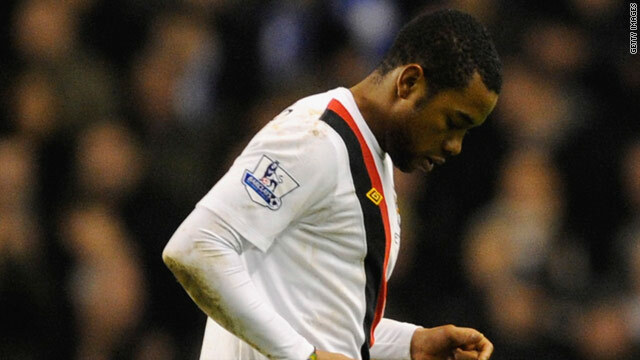 (CNN) -- Manchester City forward Robinho is to rejoin Santos on a six-month loan after the clubs reached an agreement on the deal. City have confirmed in a statement on their official Web site, that the Brazilian club will pay all of the player's wages and bonuses for the period, which begins immediately and ends on August 4. The 26-year-old, who began his career with Santos, will leave for Brazil on Sunday. Robinho joined City from Real Madrid in the summer of 2008 for a British record transfer fee of £32.5 million ($52.4m), the club's first big signing under the new ownership of multi-millionaire Sheikh Mansour bin Zayed. The Brazilian initially impressed at City and ended his first season as the club's top scorer with 15 goals. But his form tailed off and he was often criticised for his performances away from home. Robinho is someone who needs to be playing regularly and we wish him well for the period of his loan. This season he has struggled to hold down a first-team place, first under Mark Hughes and latterly under new manager Mancini. Robinho has made no secret in recent days of his desire to return to his old club as he seeks to consolidate his place in the Brazil side ahead of this summer's World Cup finals.